100-Pk. 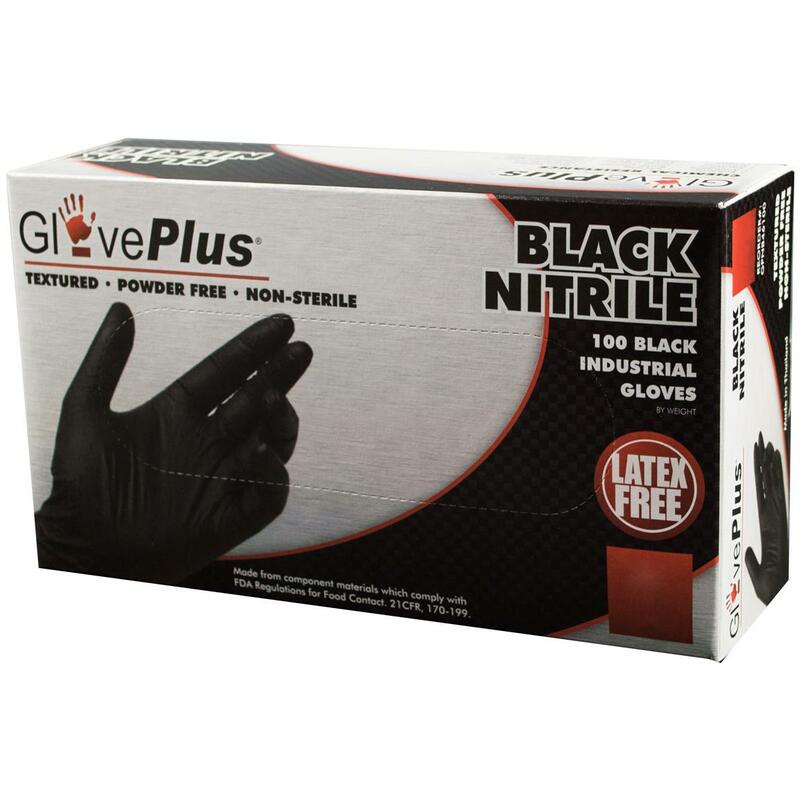 GlovePlus® Powder-free Black Nitrile Gloves. Thicker protection that doesn't get in the way of your "feel" for things. STOCK UP WITH THIS DEAL! Get in the "Black"! 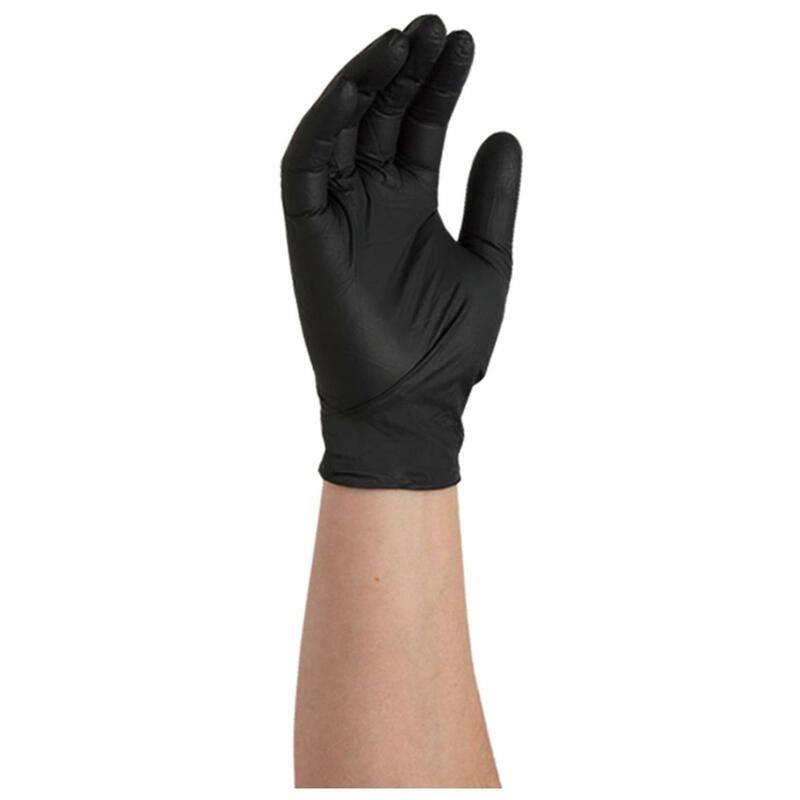 These Gloves are 30% thicker than the standard blue Nitrile ones and rated "Best" quality for car, janitorial, plumbing or industrial jobs. 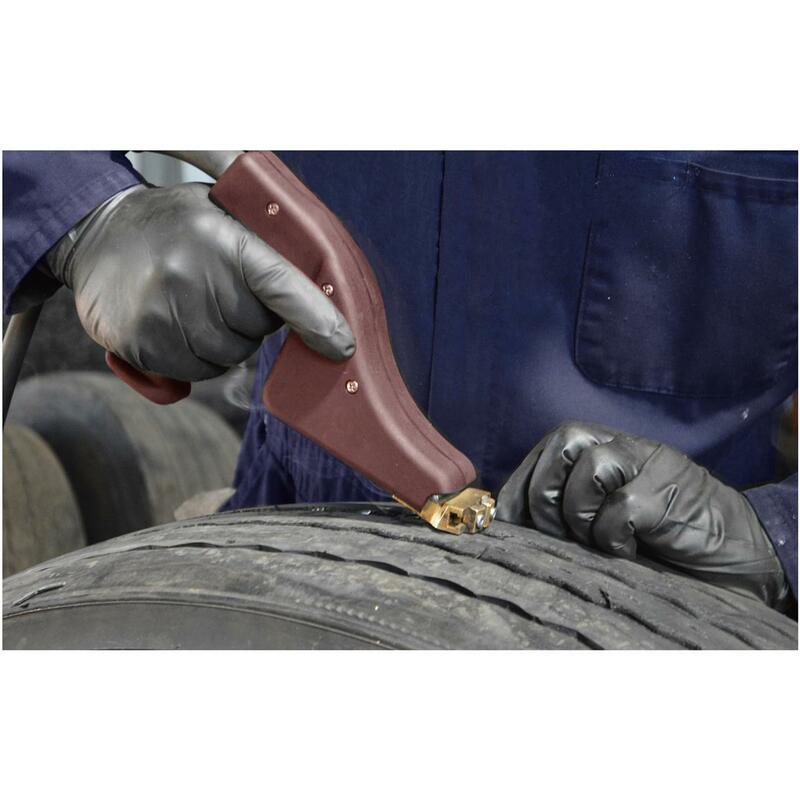 They're textured, so you get a sound grip of your wrench, brush, or whatever you're handling. And they're Powder-free, so they won't mess up your fresh finish or get in the way of tacky adhesives. And at this LOW price, we're practically giving them away! 100-Pk. GlovePlus Powder-free Black Nitrile Gloves is rated 4.5 out of 5 by 17. Rated 5 out of 5 by shoot from the hip Jim from better quality than I first reported The first glove out of the box tore and my hand went right thru! I immediately wrote a review that they were worthless. Not with about 25 gloves used, I am quite pleased. I like the grip on the finger tips. No more have ripped..perhaps the first one in the box was compromised....maybe this is normal for nitrile gloves. Live and learn I do now recommend these gloves and I like the XXL size it actually fits us ole knuckle draggers! Rated 5 out of 5 by Mango Mike from Good Fit Good Price I have tested the gloves and find them to be strong and a good fit for large hands. Rated 5 out of 5 by Gman1963 from Big and rugged I have very large hands and I have trouble finding nitrile gloves that I can get on without ripping them to shreds. I was delighted to see these in a 2X size and got a box. They go on easy and are much less prone to ripping than others I have tried. Rated 1 out of 5 by Call em as I See Em Jim from these gloves are thin and tear easily I ordered these for farm use based on the description. To my surprise they are nothing like the description. They are thin and tear easily. Totally disappointed! Not good enough! I expect better Gary! Rated 5 out of 5 by gerry from Great price These gloves are a great deal. worked every bit as well as gloves costing double the price. 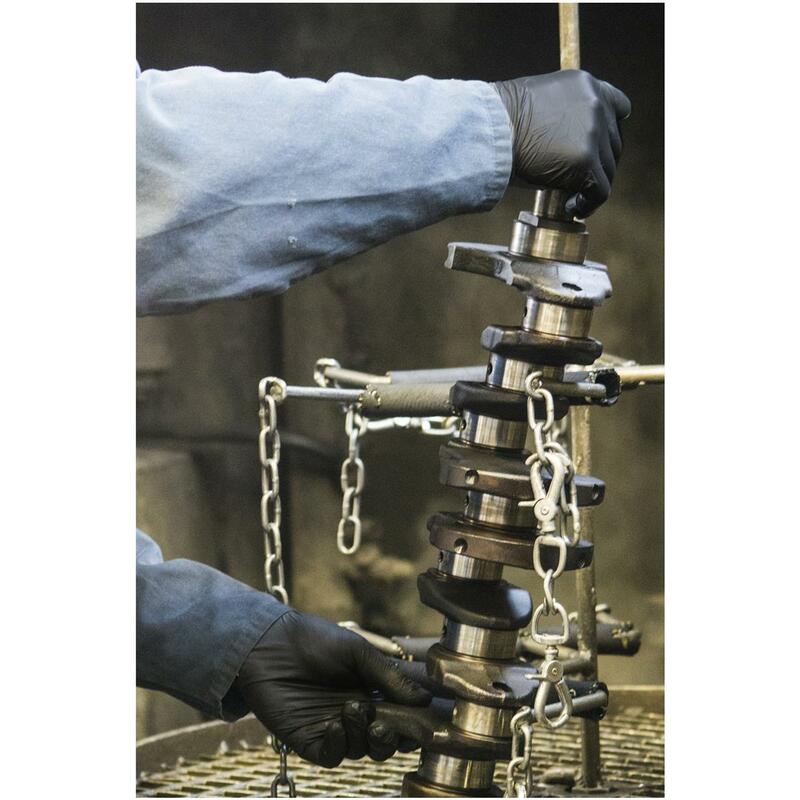 Rated 5 out of 5 by Honda Nut from Great for Automotive Work Perfect for working on cars and around the house. Very satisfied with the quality and price. Will reorder when the time comes. Rated 4 out of 5 by ellis from being xl they're a little hard to pull on, but I haven't ripped any yet. Rated 5 out of 5 by Big Mike from Good Value These gloves work great when changing engine oil or working with other solvents that you don't want to get on your hands.